As a North Carolina Birding Trail site, we see several different species of birds on a daily basis here at the Inn on Mill Creek. 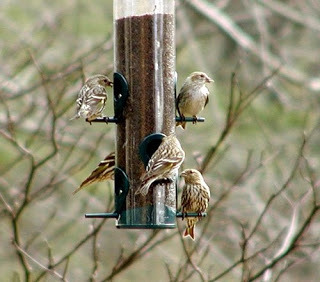 Last week, eight Pine Siskins decided to eat lunch at the same time as us. 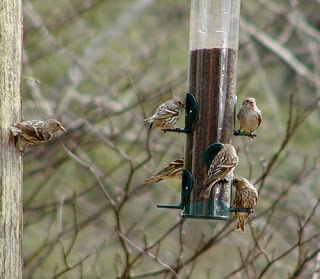 We were treated to quite a show as they all tried to gather on one thistle feeder on the deck off the dining solarium. Learn more about the North Carolina Birding Trail at www.ncbirdingtrail.org.